Originally from Manitoba, Canada, 2012 graduate Lindsey Gullett found a wealth of new opportunities at Castleton. In addition to receiving his B.S. in Communication and a minor in Business Administration, Gullett was also a four-year member of the men’s ice hockey team. “It was a great opportunity to play hockey, travel, meet new people and get started on my education,” he said. 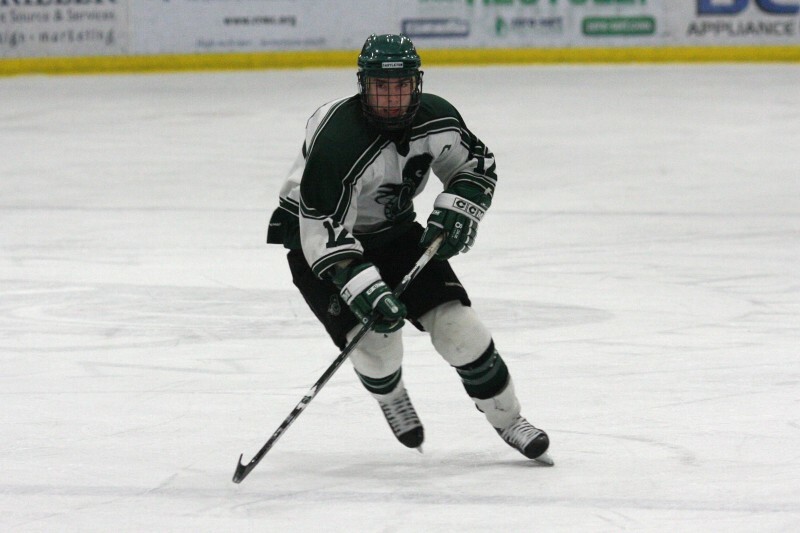 From the classroom to the ice and everywhere in between, Gullett, now Sales & Marketing Manager for the Virden Oil Capitals hockey team, says he gained much from his time at Castleton. In January 2014, Gullett and 2010 Castleton alumna, LeeAnne Ketchan said “I do,” in a ceremony performed by Castleton President Dave Wolk. On the way home from their destination wedding, the new Mr. and Mrs. Gullett paid a visit to their alma mater and the place where their life together began. As a student athlete, Gullett fell in sync with Castleton’s close-knit community and benefited both academically and socially from the relationships he was able to form throughout the university. In addition to Wolk, Gullett said he was also able to develop close ties with his coach, Alex Todd, Strength and Conditioning Coach, Al Jean, his academic advisor, Bob Gershon, and many others. “Being so far away from home, one of the things that was nice about Castleton was that small town feel that allowed you to connect with classmates and professors and give you that sense of belonging while you were there,” Gullett said. In his senior year, Gullett was also the driving force behind the Right to Play Dodge marathon, which set a Guinness World Record for the longest dodge ball game ever played at 41 hours, three minutes, 17 seconds. Throughout his four years, Gullett said it was these experiences and the people who made them all possible that defined his time at Castleton. A video by Lindsey Gullet.